Sometimes, I get asked to make display stands. 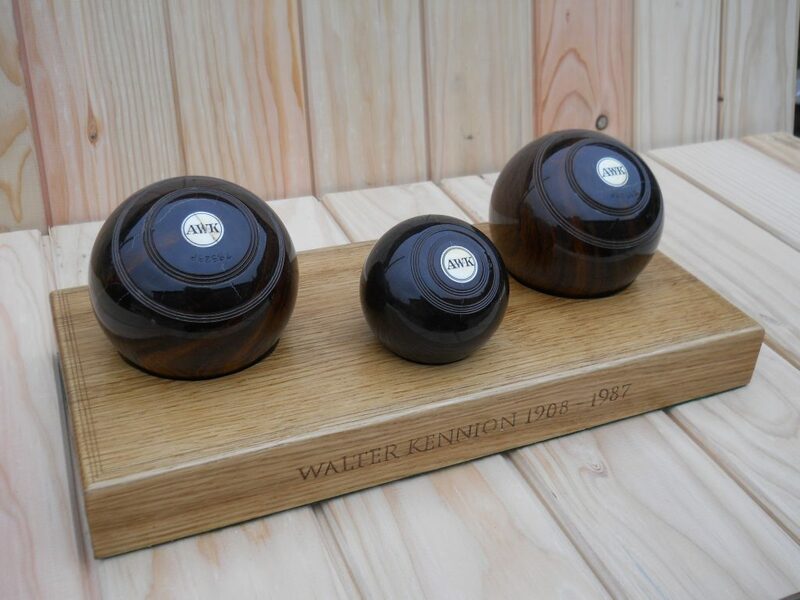 The one above was for a set of three antique balls used to play the game of bowls. The oak stand really set them off nicely and I enjoyed carving two different inscriptions, one in a Trajan-style script and the other in one similar to Chancery. 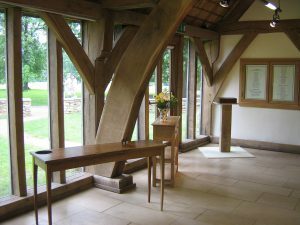 I always use timber that has been sourced as ethically as possible, only using reclaimed tropical hardwoods and oak from well-managed British or European forests. Each is also finished with green baize on the underside. 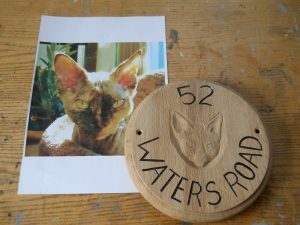 A truly personal gift; for someone else, for yourself or even for your favourite pet companion. 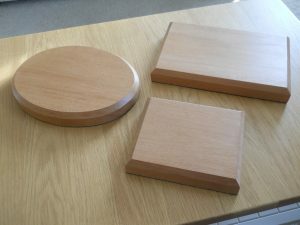 I normally carve portraits by hand from a good-quality photograph onto an oak plaque, then finish it with either wax (for use indoors), varnish or finishing oil. 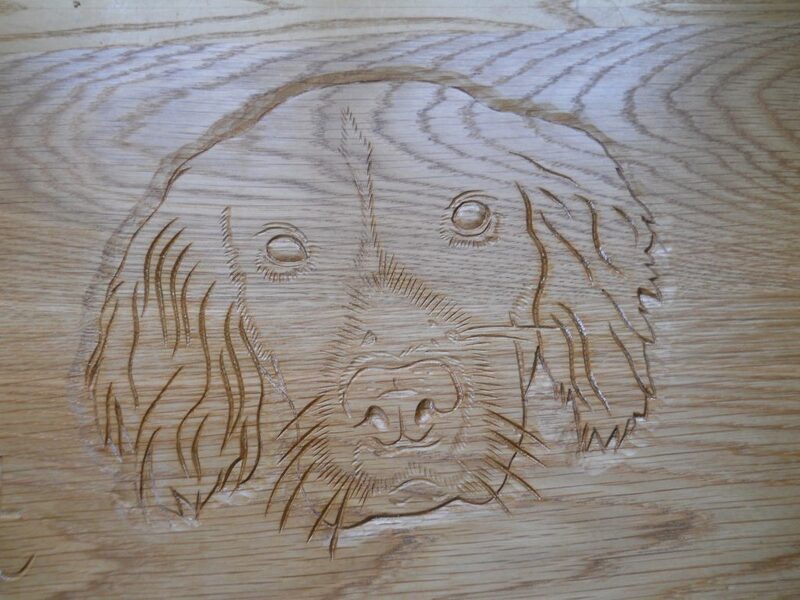 If you would prefer another kind of wood or even a carving onto something else, such as an object that your pet likes, get in touch and we can chat about what you have in mind. 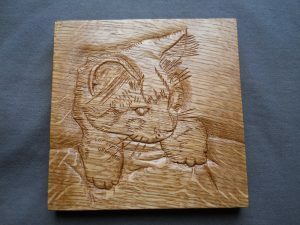 I can carve an image of any kind of animal and, even though I can’t know them as well as you do, it will be a lovely reminder of them for you. 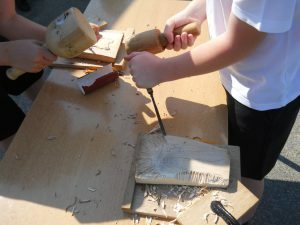 I’ve taught woodcarving and woodworking skills to groups of children and young people for many years and really enjoy seeing them learning the practical skills involved, so that they can use the tools in a safe and efficient way. 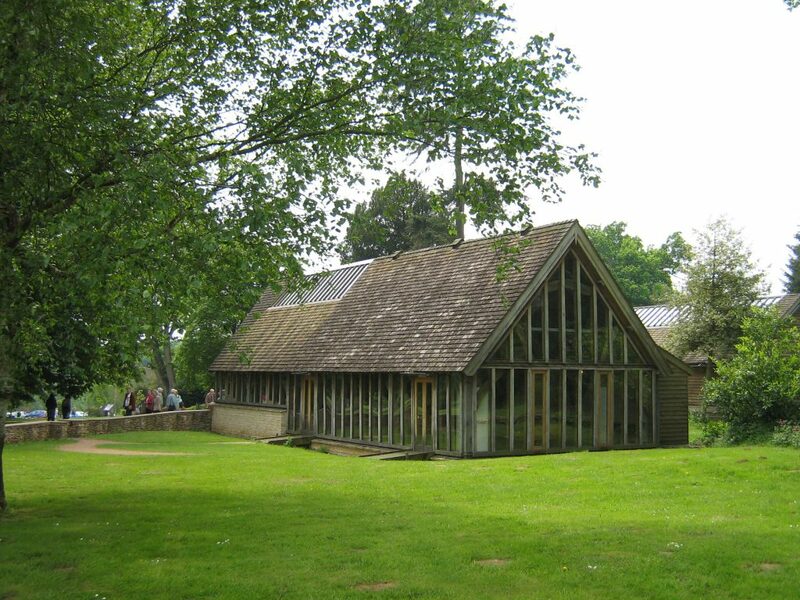 Previous groups have included youth clubs, schools, young people with learning difficulties and groups who were having problems at school as well as passing children in parks and festivals. Pretty much all possible kinds of young learner! I also hold an enhanced DBS check, as well as being a trained forest school leader. 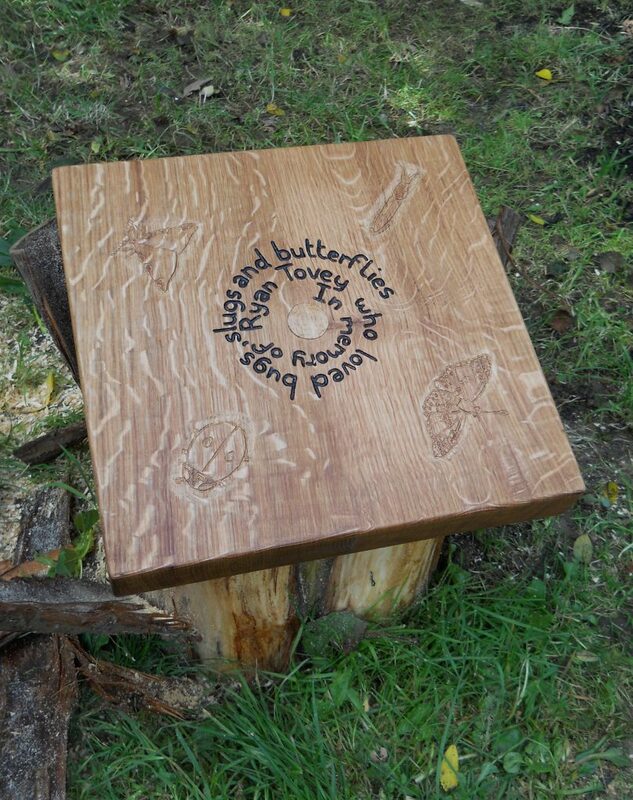 Previous commissions have also included cutting up pieces of a beloved oak tree that had to be felled at Braishfield primary school in Hampshire, then teaching the pupils and staff to carve their own artworks to take home using the timber. 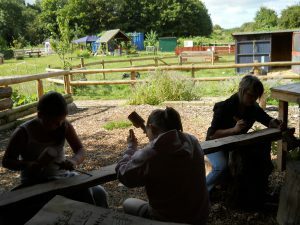 I also spent four and a half years working with disengaged young people and groups with learning difficulties at the Boiling Wells nature reserve run by St Werburghs City Farm in Bristol. 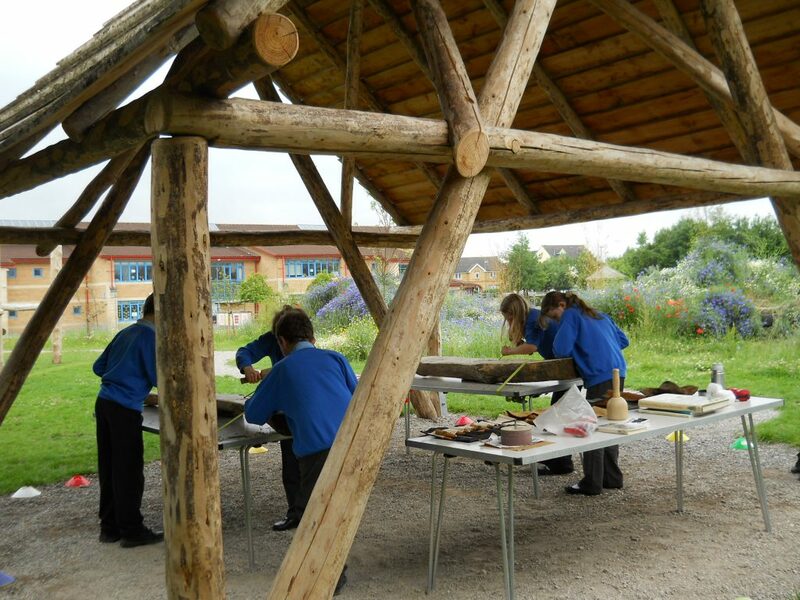 We covered a huge range of skills, ranging from firelighting and traditional woodcarving to designing and building new structures on site. 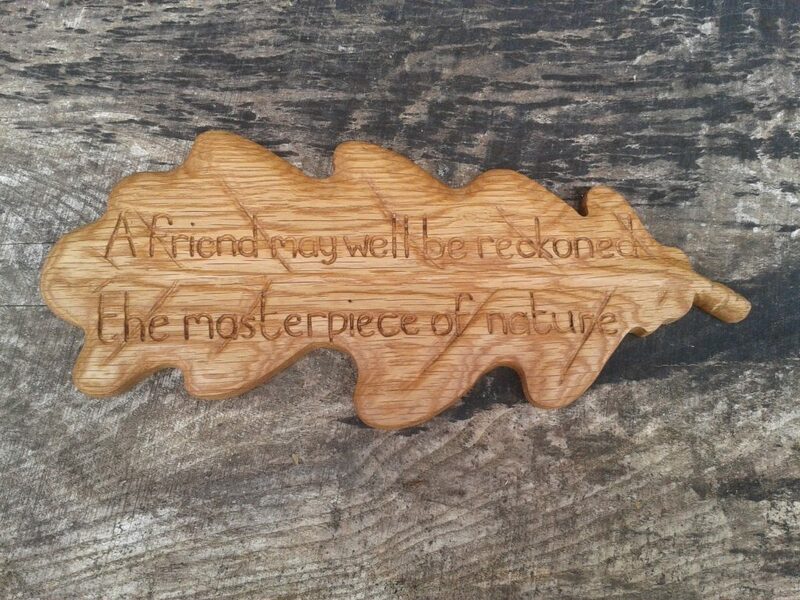 Quite a few carvings that I have made were for a particularly lovely reason: to say thanks. Sometimes they were for people who were leaving a job or other role, sometimes they were just for valued friends. 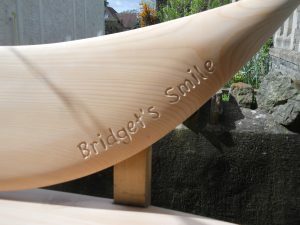 Sometimes, I’m asked to carve inscriptions on unusual objects which are to be given as gifts. 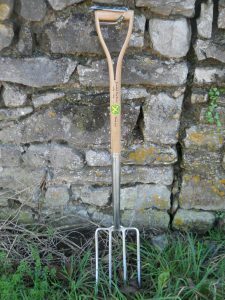 Perhaps the most out-of-the-ordinary was this garden fork. 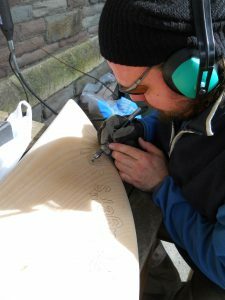 Unlike many computer-controlled engraving machines, I can carve directly onto irregular and curved surfaces so there was no problem making it and then painting the image. In fact, it was a fun challenge to undertake! 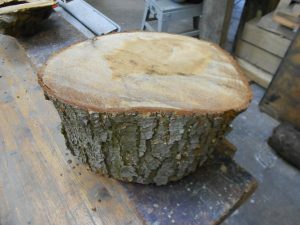 Some people also want me to make gifts out of timber from trees that have had to be cut down. 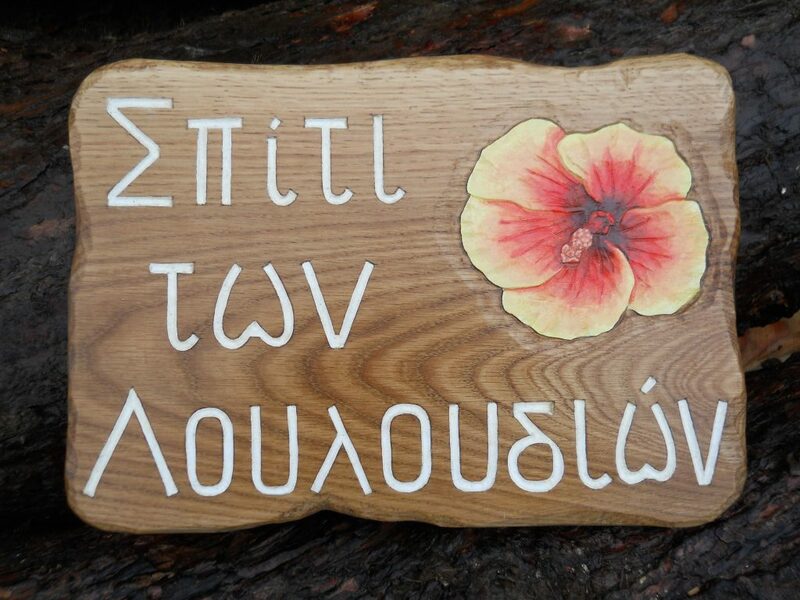 This plaque was carved out of wood from a much-loved cedar tree, for someone who was retiring from their job. I had to carefully cut up and join pieces of the timber in a very particular way, to ensure that the sculpture would last well indoors. 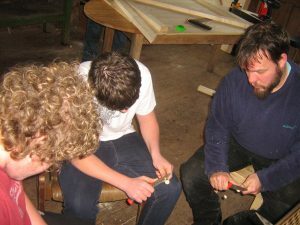 It didn’t only require carving skills but also a good knowledge of joinery and how different timbers move as they season. 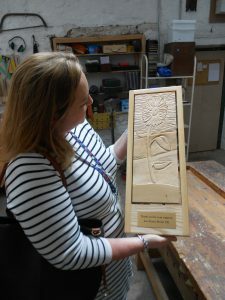 Some projects need a bit less letter cutting and a bit more artistic design, as with this plaque that was given to someone who was moving away from Bristol after many years living in the city. 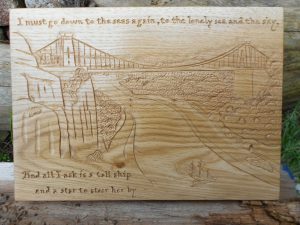 He loved the place and this illustration shows the ‘Matthew’ (a replica of John Cabot’s famous ship, which the recipient used to volunteer on) sailing under the Clifton Suspension Bridge, heading towards the Avon Gorge and then out towards the sea. Do you recognise the poem? It is the first two lines of ‘Sea Fever’ by John Masefield. 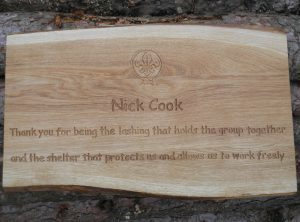 Memorial carvings have been some of the most touching ones that I have produced. Making a piece to remember somebody who is no longer with us is obviously not always a happy thing, but seeing how moved their friends and family are by it can be very rewarding as well. 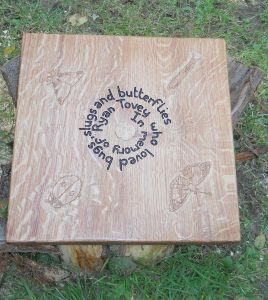 This plaque was installed in a school in Bristol to remember a former pupil who loved nature and I felt quite lucky that his mum and his friends were there to see it installed. 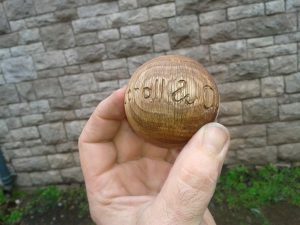 Sometimes, the piece of wood to be used is supplied and it can be an unusual shape, which many computer-controlled engraving machines wouldn’t be able to deal with. For me, it’s just an interesting challenge. 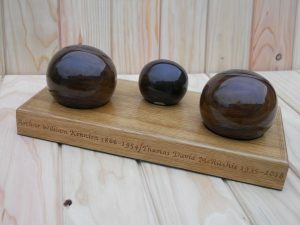 One example would be this oak ball, which was to be used as the stopper on a carafe. 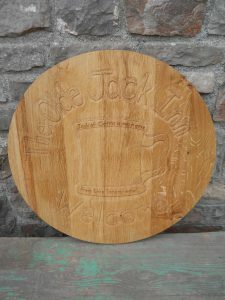 I’m also frequently asked to provide inscriptions on the work of other makers. 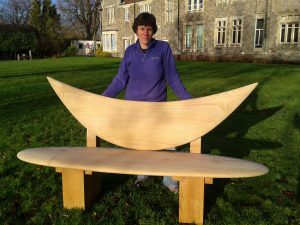 The very talented furniture maker Sue Darlison needed a carving on one of her stunning benches and asked me if I could do it. I was more than happy to. The name and the inspiration for the design came from the lovely smile of the person who was being remembered. I love a challenge! 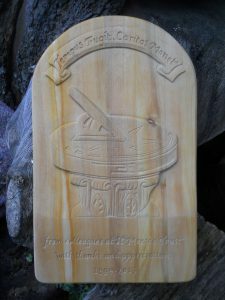 Sometimes people need inscriptions to be carved onto unusual objects and irregular surfaces, which many engraving machines would not be able to deal with. This oak ball was destined to be the stopper for a carafe. I carve lettering using traditional carving gouges and chisels or, sometimes, a small multitool. The multitool is like a handheld drill that drives differently-shaped cutters. 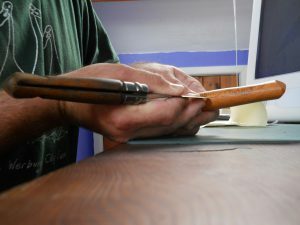 Although it is a power tool, the delicacy and precision that it is capable of reminds me of traditional hand tools. If you have a project that you would like done but aren’t even sure if it’s possible, please contact me. 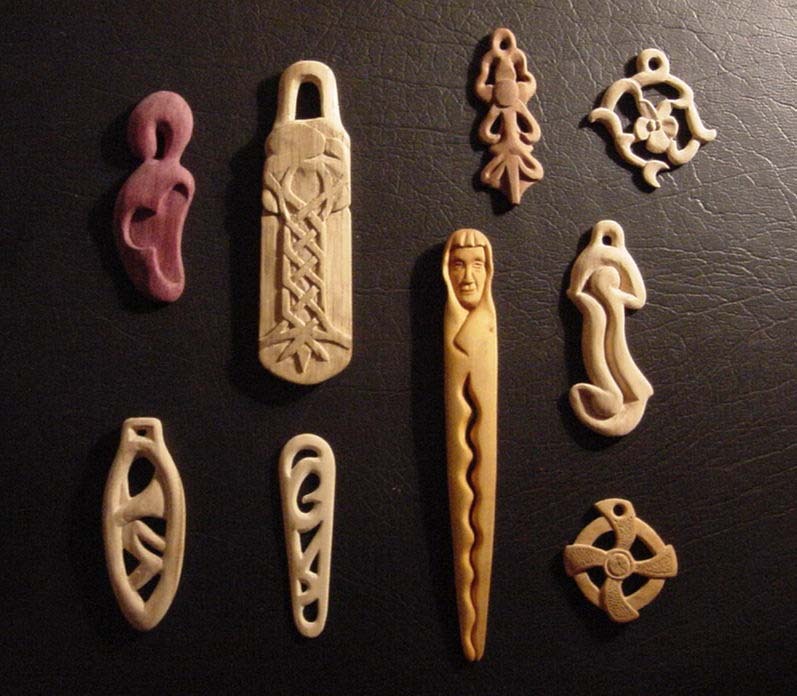 I have been carving pendants since I first began whittling and woodcarving. 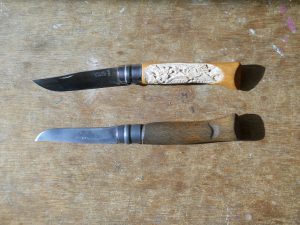 For many years they gave me a chance to create work that required little in the way of tools (just my Opinel knife and some sandpaper) and could utilise little fragments and splinters of wood which were easy to carry in a backpack. 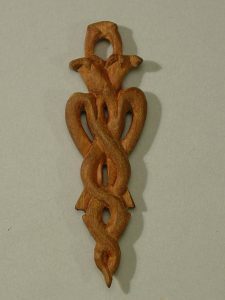 These pendants were carved to represent the seasons. 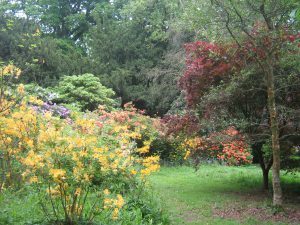 the plants are ones which are particularly associated with each season in Britain. From the left, primroses come out in spring, bluebells in summer, blackberries in autumn and ivy stays green all through the winter. 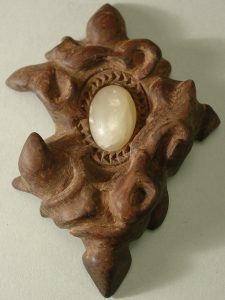 This piece ws carved from a fragment of holm oak collected at a youth hostel in Oieras, Portugal (where this type of wood is known as azinho). The wood had been previously charred in a fire, which darkened and hardened it. The inset stone is a piece of calcite collected in a valley named San Pedro in Almeria, Spain where I was staying at the time. It was smoothed by rubbing against an old whetstone. The beautiful desert valley has a group of hippies and travellers living in it. This carving is so-called because it was carved on the beach at San Pedro on the first day of the new millennium. 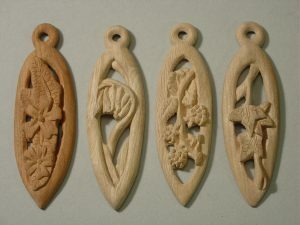 Like all of these pendants, these ones were both carved using my four-inch bladed Opinel lock knife. 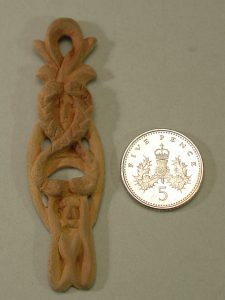 This knife handle was carved for a commission in 2011. 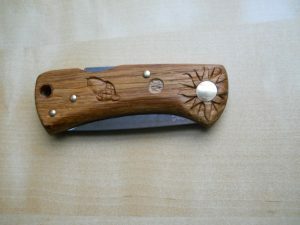 The buyer gave me his own designs and I carved them onto the beechwood handle of a number 10 Opinel lock knife. 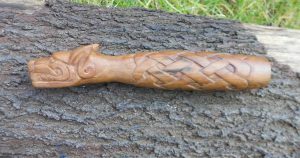 The handle is 10.5 cm (41/4″) long. 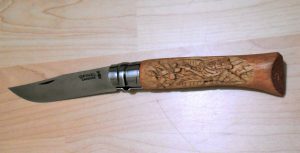 As this was the type of knife with which I learnt to carve, it ws very exciting for me and the whole carving was done using my own Opinel, which is also shown here. The knife at the top is the carved commission. It’s easy to see on this image how much metal had been sharpened off the blade of my knife over the previous 21 years- both blades would have once been the same size. The blade of the knife to be carved was extended and wrapped in thick card, to give more to hold on to when working. Work in progress can be seen below. 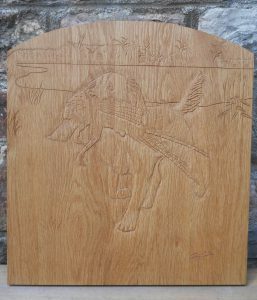 Here’s another, which was carved for a commission a couple of months later. 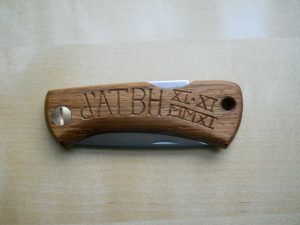 The knife is an oak-handled EKA. The client drew a (very good) representation of his idea for me to carve, which includes his son’s initials, the sun and the moon. 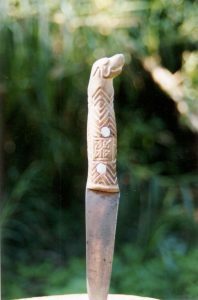 The next knife handle was carved in New South Wales, Australia way back in 1997. It was made for a very talented Spanish leatherworker named Guille. 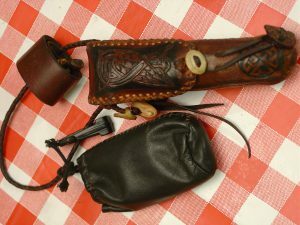 In exchange for me carving a walnut-handled knife that belonged to him, he made a pouch for my carving knife (shown below). 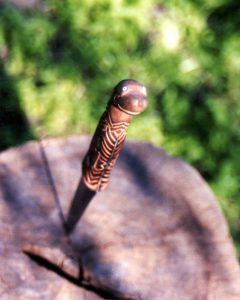 He loved Celtic designs and so the knife has a celtic-style dog’s head on the pommel, with eyes made from inlaid reindeer antler beads. I still have the beautiful pouch that he made for me to this day but after leaving Byron Bay I never met Guille again. 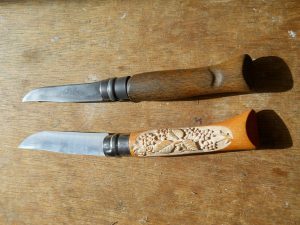 If you are interested in these then you might also like a more recent commission to carve a pagan ceremonial knife handle from oak, which is discussed in a separate post.